The best way to trade stocks. Well, to be honest, this title is a little deceptive because really there is no best way to trade stocks. The best way is to be profitable, period. Trading certain ways work for certain people. Just because it’s the best way for one doesn’t mean it’s the best for the other. A lot depends on your personality and how you personally handle risk. I would be leery of anyone who said there is one best way to trade. The thing is the market is always shifting and changing and there is no best way to trade because of the constant changing. Sometimes it’s good to have short term trades, sometimes it really pays off to have longer term trades. Long -term trading seems to be unpopular among traders because there is no instant gratification. And the argument that traders make a lot more on the market trading short term forgets about a guy named Warren Buffet who invests in a company, not a stock, but that’s a story for another time. Everyone beats up on long term trades, but they don’t factor in dividends and the fact that you don’t have to stare at a screen all day to make your money. Those dividends do make a difference, not as a quarterly payout but more so if you reinvest them. It can have profound effects. Now don’t blast me for not trading short term, I’ve traded short term as short as 10 minutes before and made good money that way, but I’ve also lost a lot more short term trading than I’ve ever lost in the long term. Here’s the thing I learned awhile ago when US Airways merged with American Airlines and became American Airways. I bought the stock at $11 and bought and sold and bought and sold multiple times on its way to $45 a share (not counting the different option contracts I had on them but that’s also a story for a different time.) Had I bought at $11 and held until $45 with one trade rather than multiples, I would have made more money. Why? Because of dividends and commissions. I know there is Robin Hood now but there wasn’t then. However, commissions are only part of it. Had I reinvested the dividends on the way up I would have made even more plus wouldn’t have had to spend so much time monitoring the stock and ready to sell it if dropped more than $.15. And that statement couldn’t be truer, just pick a good company with a good product that’s good for society and just go with it. Microsoft, Apple, Tesla, Netflix not saying to invest in them but saying they are good examples of good companies that make a good profitable product and in general is good for society and has changed the way we live and going to live in the future. Over years of trading, I’ve become more of a swing trader if you have to put a name on it. I personally would rather have the longer term trades. I held MUX at one point for over 6 months and had a 4x return on my money. Try getting that return in a savings account. My point is, time is an important factor but it’s not the only factor when trading. If you trade longer term on bigger well-known stocks, you can make just as much with them as the smaller stocks with a lot less risk and more chance of making money. The key is to be profitable and however you are profitable is the best way to trade stocks. If you would like to learn more about trading and you are just getting started, sign up for my free email course. Learning to trade doesn't have to be hard, it can be a bit of work. But if you are willing to work hard, get started by clicking that button. 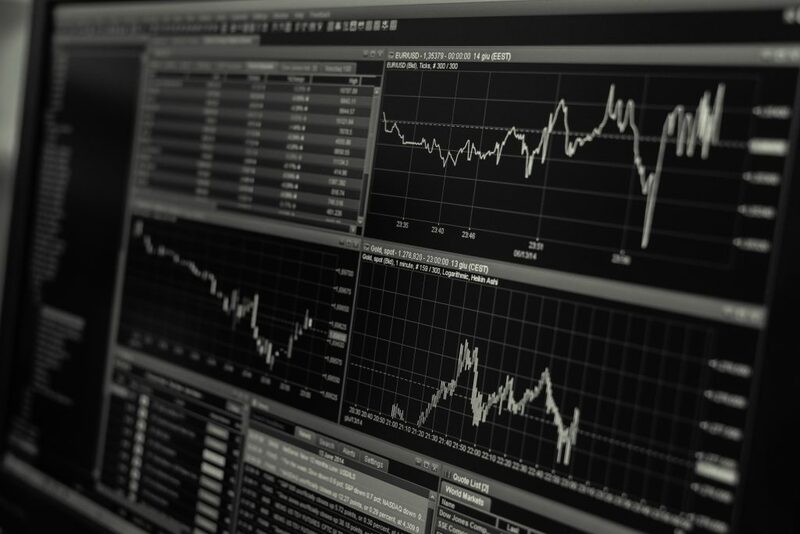 Looking to learn how to start trading? 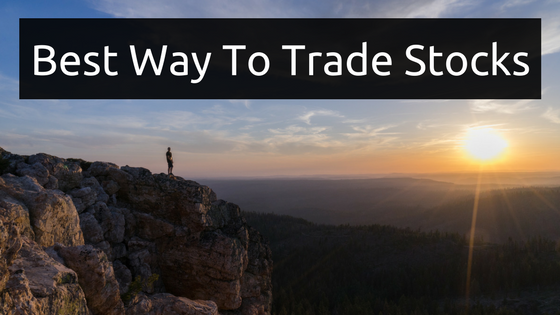 Get the FREE guide on getting starting with trading. No stock market experience needed. There is no sales pitch. Just a free guide help you get started in the stock market.